Now that the season for such things is effectively over, I can admit to myself that I didn’t get what I was after this year, and go with what I have so far. 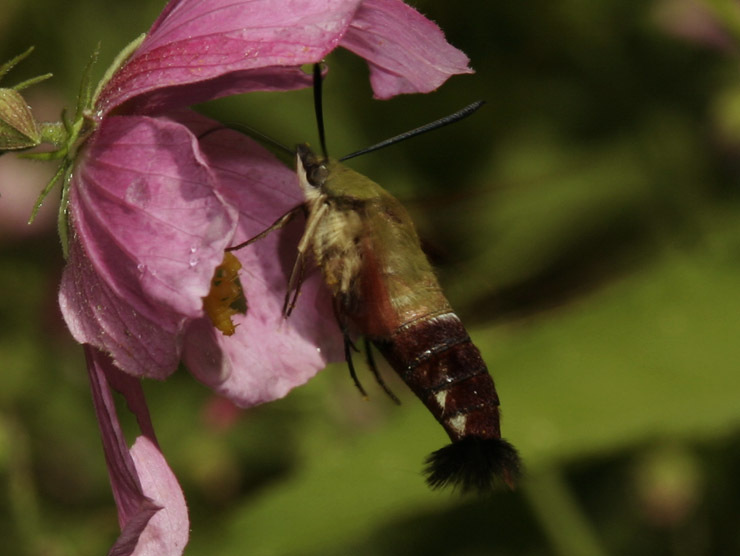 The Sphingidae is one of the more interesting families of moth. While not as big or impressive as luna moths, they have a very finely developed protective camouflage, which is exhibited not only in coloration, but in body size and habits as well. 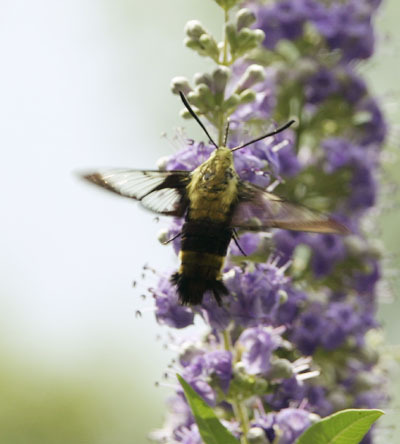 At top, a hummingbird moth, also known as a common clearwing (Hemaris thysbe) displays the traits that make it so special: it looks almost exactly like a female ruby-throated hummingbird when feeding, even possessing a tuft of body hairs at the end of the abdomen that resembles the spread tailfeathers of a hummingbird. The illusion is also assisted by the largely transparent nature of the wings, which helps them become a blur during flight, much like a hummingbird with its much faster wingbeats. And like a hummingbird, they move rapidly from flower to flower, with only brief pauses at each. Thus the frustration part, since they barely hover long enough to achieve focus, and are pretty careful to avoid close approaches. Of course, we can’t see the various species change over time, and it’s rather difficult to determine if, for instance, the avoidance of those bright warning colors is instinctual or learned – mostly, it is considered learned. Jerry Coyne at Why Evolution is True has a post regarding this development within a species. The reasoning goes, bird attempts to eat bumblebee, wasp, monarch butterfly, has bad time (stings them, tastes yucky, et cetera.) Bird learns things that look like that are bad, remembers it from then on. Therefore, even if one example of the species is injured or killed, it still performs a protective function for the species overall. This kind of sacrificial species defense can also be seen in honeybees, whose barbed stingers will lodge in whatever animal they sting and get torn out, killing the individual bee yet probably driving off the predator who would destroy the hive or queen. It is also seen in bioluminescent dinoflagellates (cool video there, though apparently a bit inaccurate – cuttlefish are not found in Puerto Rico where the video is implied to have been taken.) A key factor in the process of developing defensive mechanisms is that the species is very distinctly different in appearance from a species with no defense, so the predator can tell them apart easily and thus learning to recognize them has a purpose. In order for this to work for our bumblebee mimic, among others, there has to be more of the dangerous species than the mimic, so that the predator is far more likely to encounter the dangerous species first, and learn to avoid that coloration, rather than the tasty moth first and learn nothing. So the population of the mimic species can actually start to lose all benefit of this evolved trait if their numbers get too high in comparison to the species they mimic. They cannot expand outside of the area where that species is found, either, lest they encounter predators that haven’t learned their lesson. Here, I got lucky enough to catch both the moth, and the bumblebee it mimics, alongside one another so you can see the comparison. The difference seems obvious, but think about how often you can see a bumblebee this close as it goes about its business – that’s what you rely on us nature photographers for ;-). 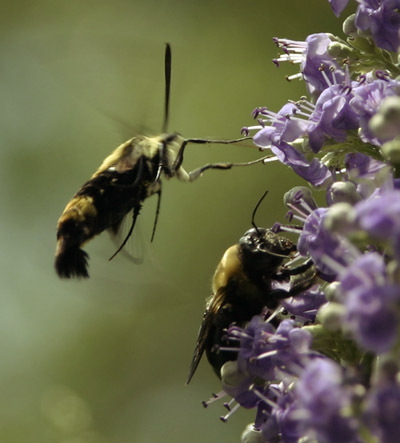 But there’s another difference that actually makes bumblebee moths easy to spot, even from a distance, and it’s shown right here: the moths do not land when feeding, but continue hovering. The bees themselves always land on the flower. The pointed head of the moth, versus the broad black-eyed head of the bee, is also easy to see. While these photos serve well enough to illustrate this post, they’re not up to my usual standards, and won’t interest an editor. 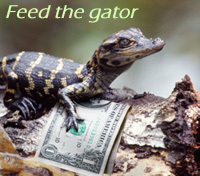 So, they’re one of many subjects I’ll be watching for when the spring rolls around again. To nature photographers, there’s nothing like seeing a cool subject but being unable to get sharp, compelling images of it to make you get semi-obsessive.